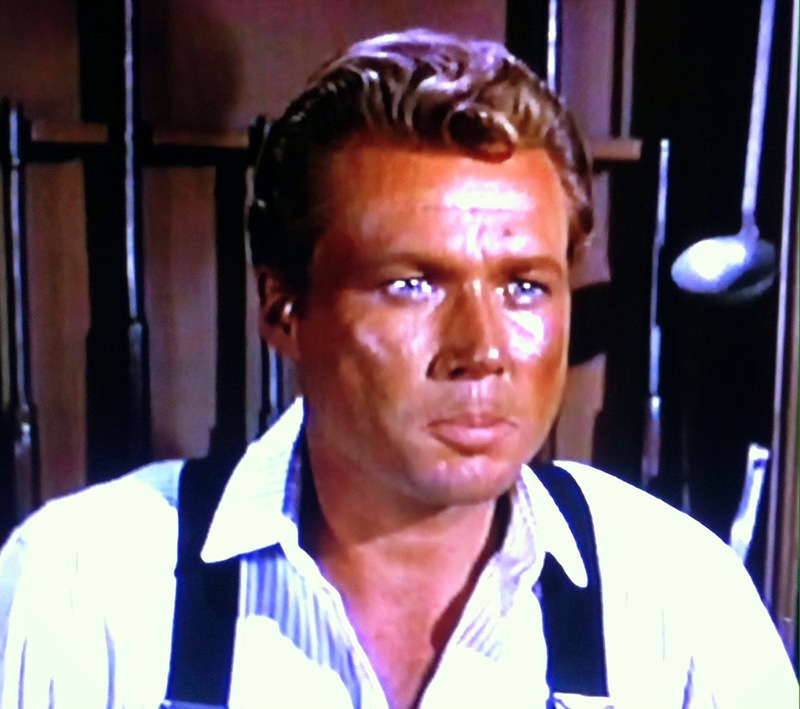 HONDO: "Hondo and the Eagle Claw" (1967 ABC-TV/MGM/Batjac Productions) Episode 1; Original Air Date: September 8, 1967. Starring Ralph Taeger as Hondo Lane, Noah Beery Jr. as Buffalo Baker, Kathie Browne as Angie Dow, Gary Clarke as Captain Richards, Michael Pate as Chief Vittoro, Buddy Foster as Johnny Dow, William Bryant as Colonel Crook. Guest starring Gary Merrill as General Sheridan, Jim Davis as Krantz, John Smith as Ed Dow, Victor Lundin as Silva, Robert Taylor as Gallagher, Michael Rennie as Tribolet. Teleplay by Andrew J. Fenady. Directed by Lee H. Katzin. Traveling through Arizona territory with his dog Sam, half Apache/ex-Rebel Hondo Lane is surrounded by "blue belly" cavalrymen as he drowns his sorrows after yet another bar fight. 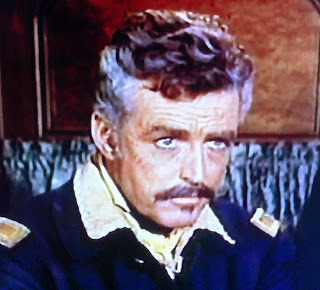 But the soldiers aren't coming to jail him--he's been summoned by his old Civil War adversary, General Sheridan. Army brass is ready to offer Hondo a job as a scout aiding an effort to establish peaceful co-existence (and a treaty) with the tribe Lane once lived with. It's an unusual request, since Hondo's Apache wife was killed years earlier in an army raid (Lane's motivation to fight against the North). Hondo's battlefield exploits with the 7th in Texas became legend, but this isn't just an olive branch to a formidable foe. 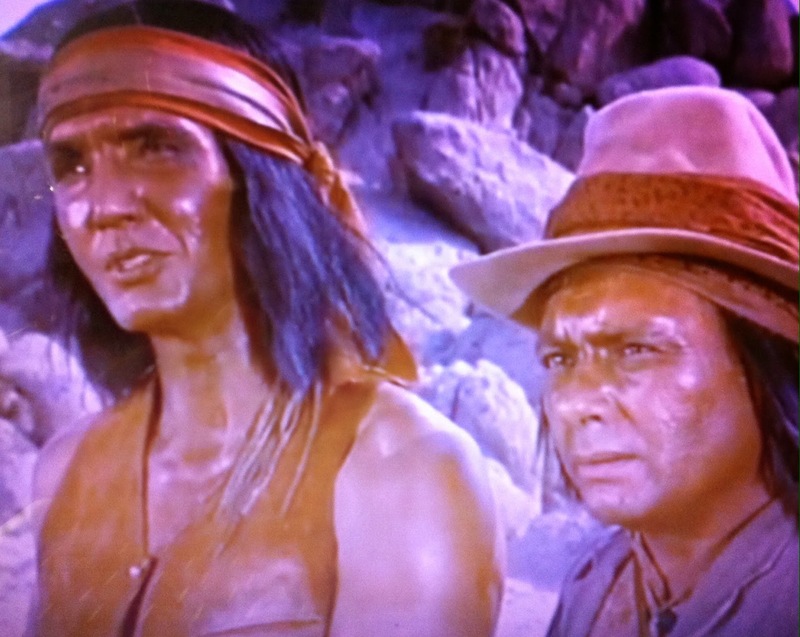 Lane's former father in law Vittoro is now the Chief of the Apache Nation, making Hondo the most trusted Army liasion possible to the tribe's leader. While Lane respects Colonel Crook based on his knowledge of the man's history, Fort Lowell's Captain Richards isn't initially sold on the General's idea. Even less thrilled to see Hondo's arrival at Lowell is Ed Dow, proprieter of the general store. 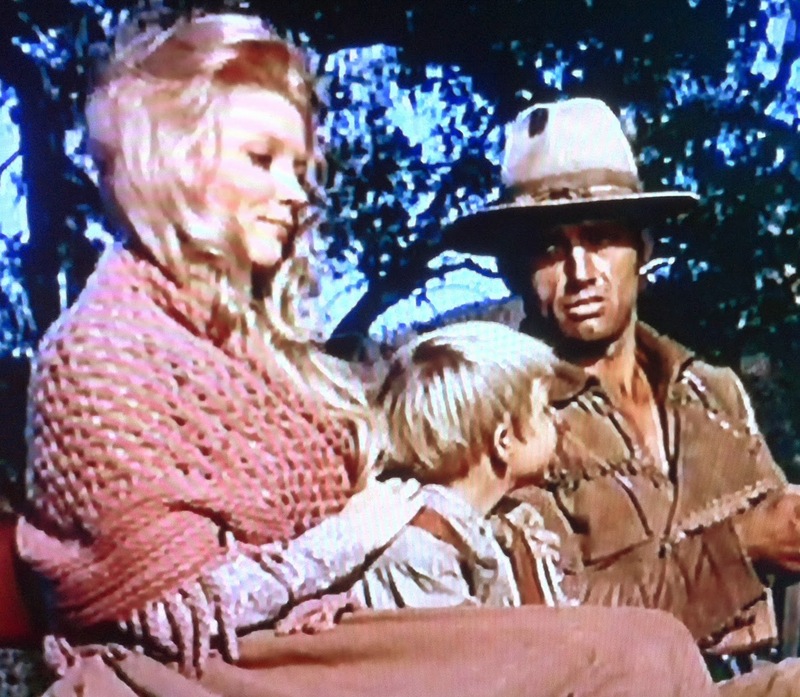 You'd think Ed would be grateful to the new scout after Hondo rescues Mrs. Dow and son Johnny from renegade Apaches (killing two) on his way to the Fort. But no, the surly Mr. Dow only sees Lane as a wanted man with a price on his head--which Dow plots to collect, not knowing that those revenge seeking renegades (led by Silva) plan to get to Hondo first. Writer Fenady lifted some dialogue directly from the 1953 feature (i.e. lines to the Dows about Sam) and is efficient in providing the exposition a pilot needs. Hondo and the Eagle Claw sets the table briskly, with the next action scene never far away. Producer Fenady cast top notch guest stars on a weekly basis, beginning here. Genre stalwarts Jim Davis and Robert Taylor appear as miners (the former is unhappy with a lack of cavalry protection), with the latter getting some badassery with his fists and some family conflict as the biggest "name" in the cast at the time. 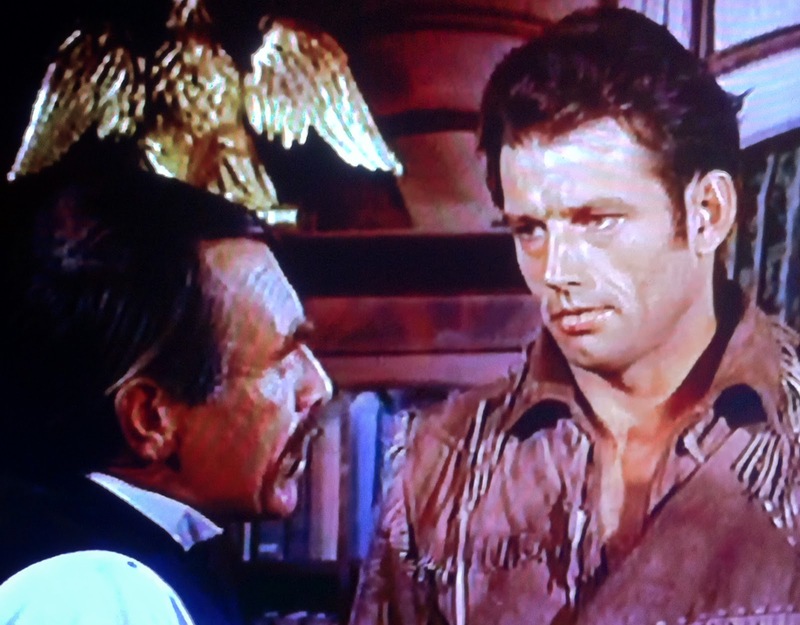 Michael Rennie plays a magnate eyeing the Dows' store, and Gary Merrill lends his usual gravitas to General Philip Sheridan (a role played by Fenady himself in the producer's previous hits, THE REBEL and BRANDED). On his second go-round under contract to MGM (with stints at Paramount, Ziv and Fox in between) Ralph Taeger stepped into John Wayne's boots, given some of the Duke's original lines and the task of carrying the series. A stoic, sturdy Humphrey Bogart soundalike, Taeger is very well cast as the laconic protagonist. Beery provides cheery comic relief as Hondo's friend and fellow scout Buffalo. While nowhere near as imposing as Ward Bond, Beery's Baker is also supportive when necessary during the frequent fisticuffs. In another small screen change, Browne (BONANZA) portrays a more refined Angie than Geraldine Page's. The nagging question with this otherwise well executed debut has to do with Hondo's introduction to Mr. Dow, which leads to the abusive husband's demise. 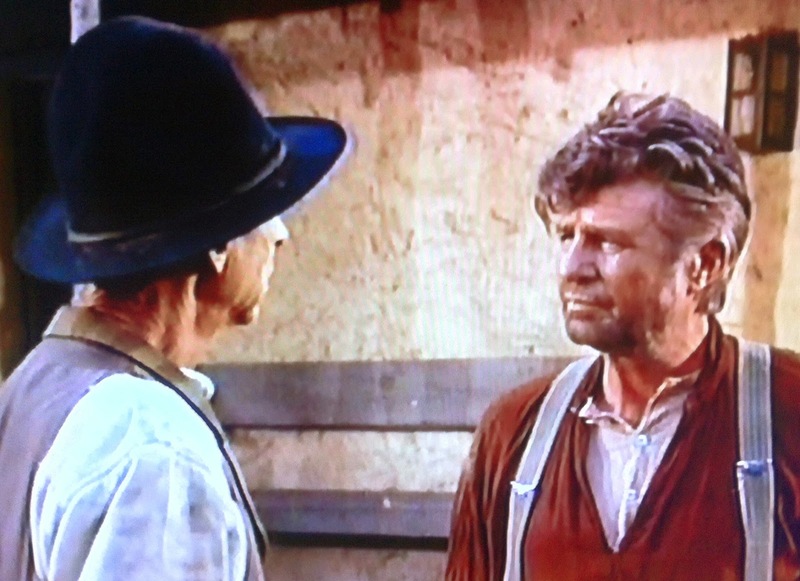 Ed Dow confronts Lane with a wanted poster--so why doesn't Hondo tell him about the full pardon he's already received from Sheridan? Yeah, he's a man of few words, but Lane immediately told Captain Richards about it when the fort commander brought out the same poster earlier. 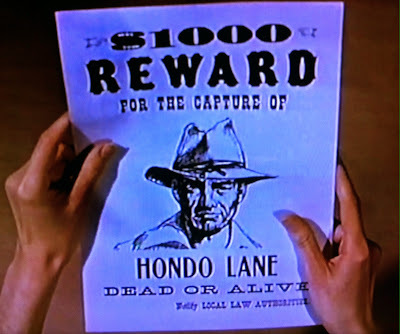 The reward is Dow's stated motivation when he and an accomplice ambush Hondo later, so this omission comes across as being a too-convenient way to set up Dow's death (and create a potential romantic interest for Lane by episode's end). 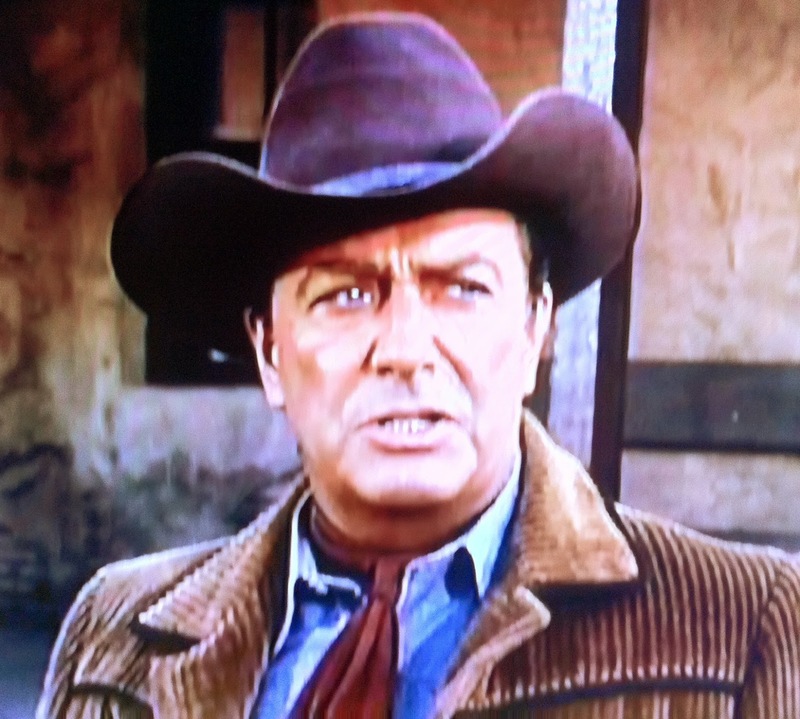 After HONDO's cancellation, Ralph Taeger's acting career stalled (he admitted years later that industry networking was not one of his strengths). He made only sporadic TV appearances before leaving Hollywood for good, but not before he took part in a legendary classic. In his penultimate television role, Taeger was cast in the infamous 1982 "lookalike drugs" episode from QUINCY, M.E. 's Hilarious Years, Bitter Pill. 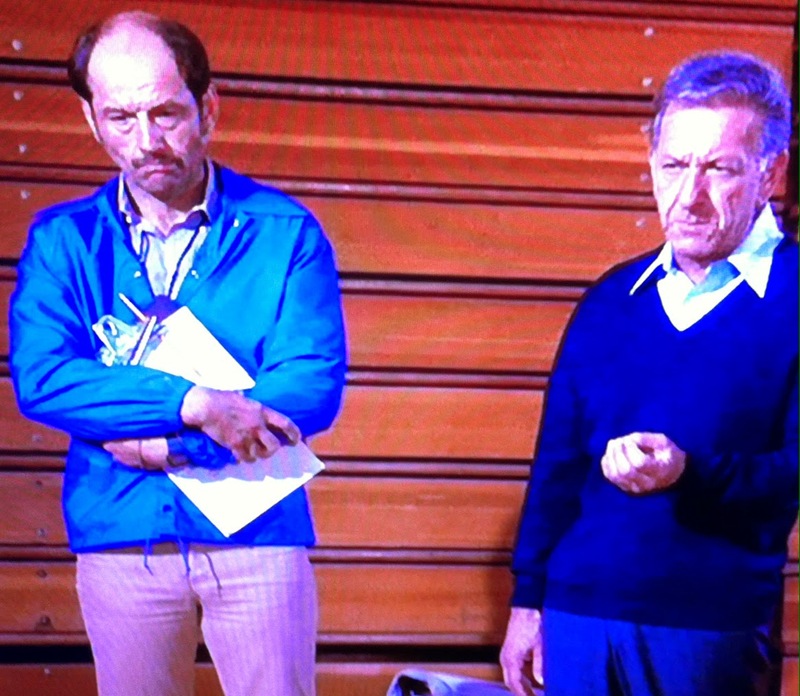 Taeger is on the left (on the right, of course, the great Jack Klugman). Taeger's appearance had changed considerably in 15 years. Commendably, no denial of the aging process on his part. Hondo Lane would have been proud. Think Quincy could have used Hondo's help when he demolished Zagner's pill shop? HONDO OPENED HOW MANY CANS OF WHOOPASS? With his fists alone, five. Hey, this was the tone setter. Hondo punches two loudmouths through the window of the saloon and a breaks a table with a third before he even speaks. Later, he dispatches poor loser Ed Dow at Buffalo's poker game and knocks a soldier into a water trough with a left hook, so Mr. Lane is a very busy man even before his showdown with Silva in the desert sun. 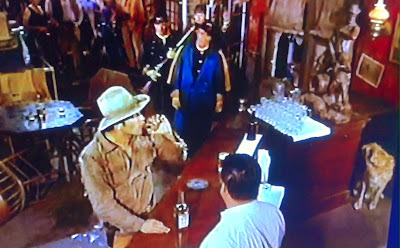 Fortunately for the oft-battered Fort Lowell cantina, Hondo's opening fisticuffs take place in an unnamed saloon elsewhere during a thunderstorm. That locale suffers all the property damage--for now, anyway. Part two will be a different story. 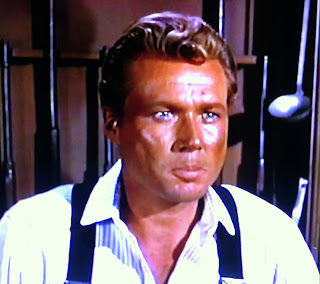 Sam growls at the bartender when he reaches for a gun instead of a bottle upon Hondo's two-fisted arrival. 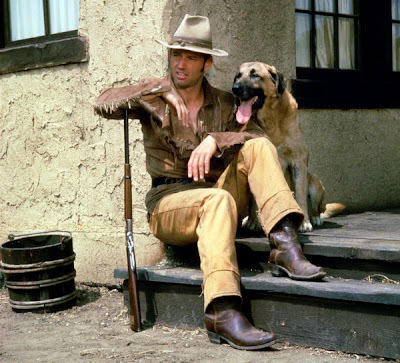 Hondo consistently practices what might be considered tough love with his most loyal friend, insisting Sam catch his own dinner and warning little Johnny Dow not to pet him. (More on the duo's dynamic in later installments.) 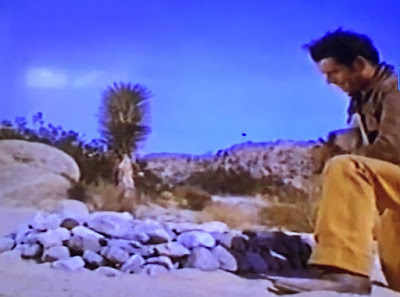 Later, Hondo tells Sam to "get lost" in the desert, but for good reason---Silva just declared that he will kill "two white dogs". Scene stealer Sam emerges from it all unscathed, which is the wisest of all of the changes from the 1953 original.